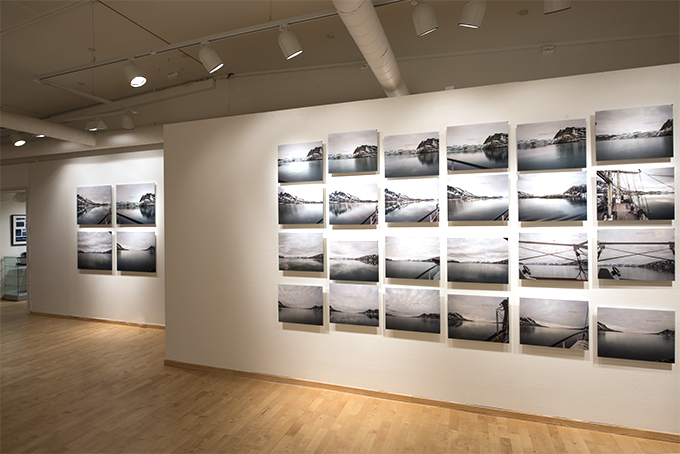 These works continue my explorations of the experience and representation of time and space. 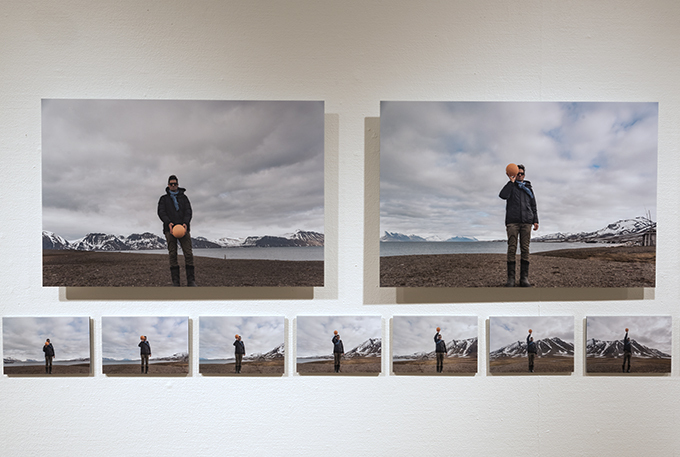 The exhibition is the culmination of several years of focus on conceptual approaches to the astronomical. 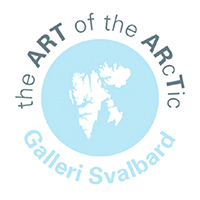 This project combines work I generated on the Arctic Circle Summer Solstice Expedition artist residency in June 2017, and arising from my explorations as artist-in-residence with Galleri Svalbard in early 2018. 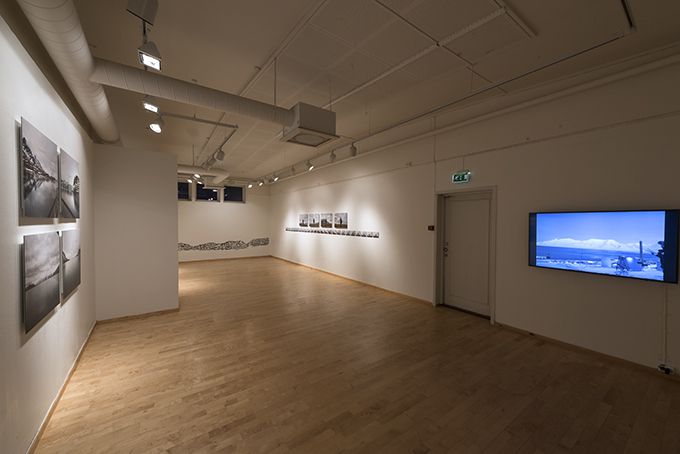 The exhibition consists of two series of photographs - from digital and large-format film - that revolve around tracking the un-setting sun. In 2017 I set out to track the midnight sun but failed: it was mostly cloudy or overcast. Resulting from a 24-shooting marathon, I Set Out to Track the Sun imagines where the sun should be in each of the four compass directions. As if to Track the Sun imagines the sun's position in the round, with figure and buoy standing in for the otherwise persistently bright but hidden star. 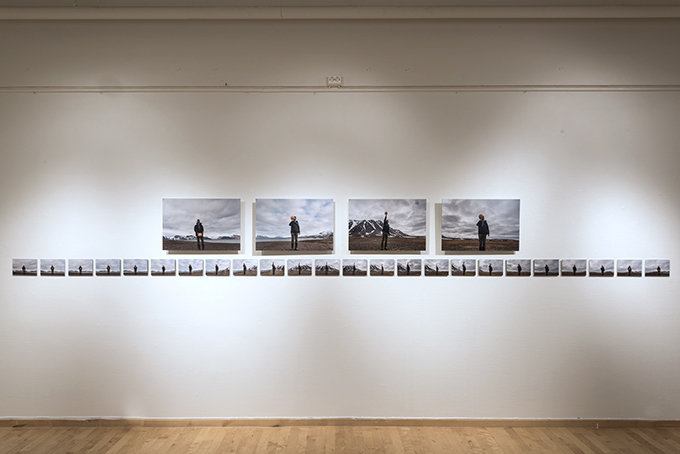 Also presented is a video compilation of imagery that I gathered - collectively entitled Practicing Standing - during the twenty-four hours that I spent in meditative action observing and being within the Longyear Valley. 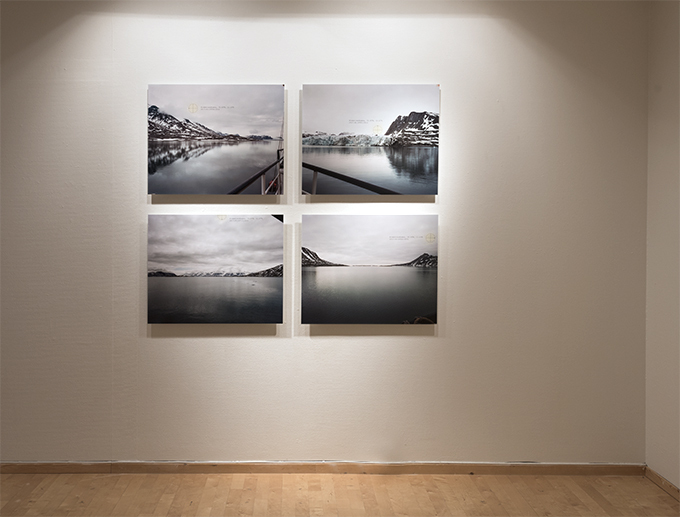 These works are complemented by a vinyl wall work that presents a rendition of this valley, within which Galleri Svalbard is located. 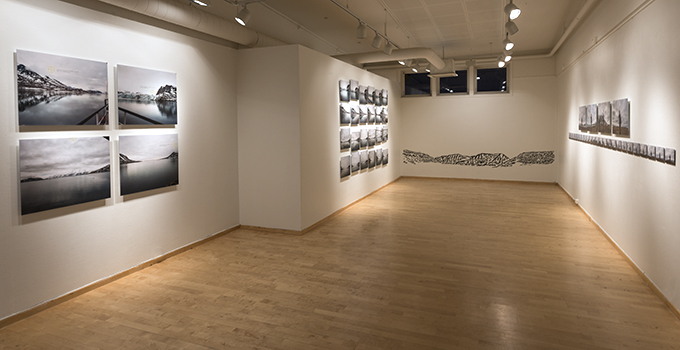 exhibition brochure, with gallery text by Rebecca Huxley. 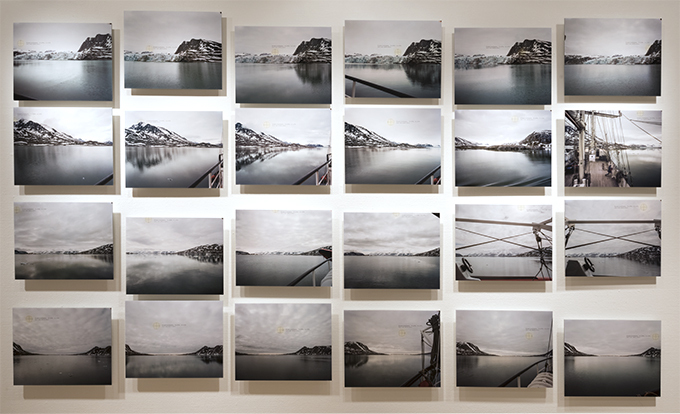 Special thanks to The Arctic Circle, the crew and guides of the tall ship Antigua, June 2017, Robert Hengeveld, Toronto Image Works, the University of Regina, Andrew Wright, Kanerva Karpo, Esther Brown, Global Affairs Canada, all the other people you know who you are, Jan Martin Berg, and Galleri Svalbard. Risa Horowitz gratefully acknowledges the support of the Canada Council for the Arts and the Saskatchewan Arts Board.